When thinking of how I wanted to make this shirt, I wanted it to be a really simple project. 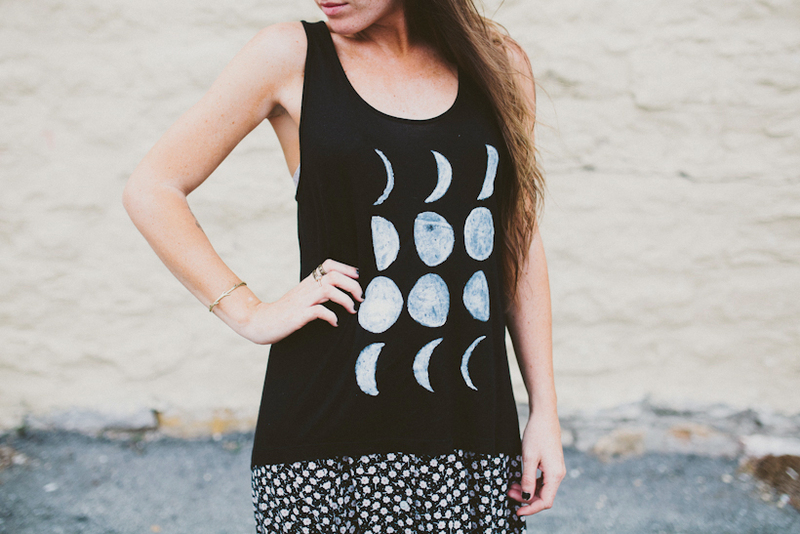 I've seen similar shirts with the moons printing on it, which looked great, but I wanted an easier (and cheap!) way to create it. This project turned out to be even more simple than I imagined! It took about 30 mins and only a few steps. I'm thinking next time I'll use a white tank with black moons. Enjoy! Supplies: Black tank top, white and grey fabric paint, adhesive foam sheet. Pantry Supplies: scissors, sponge paint brush, ink pen, cup for tracing. Begin by tracing lines of circles onto the foam sheet. I used the rim of a cup, but you can use anything with a round base, depending on how big you want the moons to be. I suggest three circles across, filling the width of the foam. 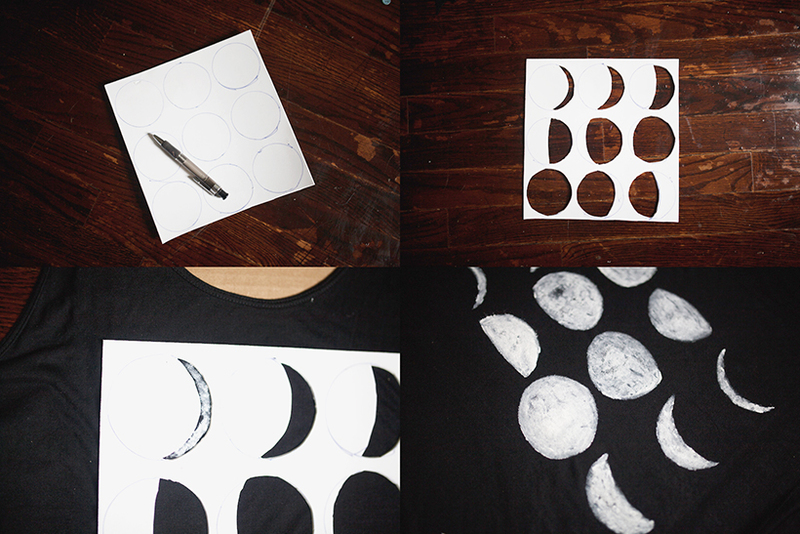 Next, draw and cut out a moon chart. You can find a template by simply googling "moon phases" and clicking "images". Next, lay the tank top flat and place a piece of cardboard inside the tank top so that the paint doesn't soak through. Remove the back of the foam template, place it onto the front of the tank top, and firmly press it down, securing it in place. With a sponge paint brush, apply shades of white and grey throughout the moons, giving it a splotchy look. Once it dries, remove the foam piece. I wanted four rows of moons, but the foam only had enough room for three rows. So for the last row, I removed the foam, cut off the top row, and turned it upside down so that the bottom row of moons would be going the opposite way like an actual moon chart. Hand wash it and let it air dry. Amazing! I am SO doing this! Ha! Thanks. ;) I seriously spent 30+ minutes in the store just trying to decide! OH my goodness. 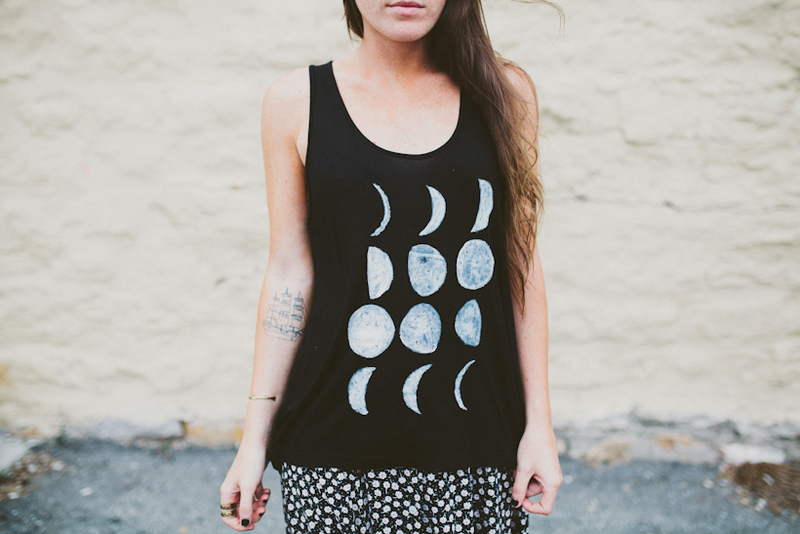 Kinsey I have been DYING for a moon phase shirt. But didn't want to buy something I knew I could make. LOVE this tutorial. SO so so perfect. Thank you! i really want to do this!!! Great project! I love your sailboat tat! i've got a tat in that same place. Don't see that too often! I love this tutorial! 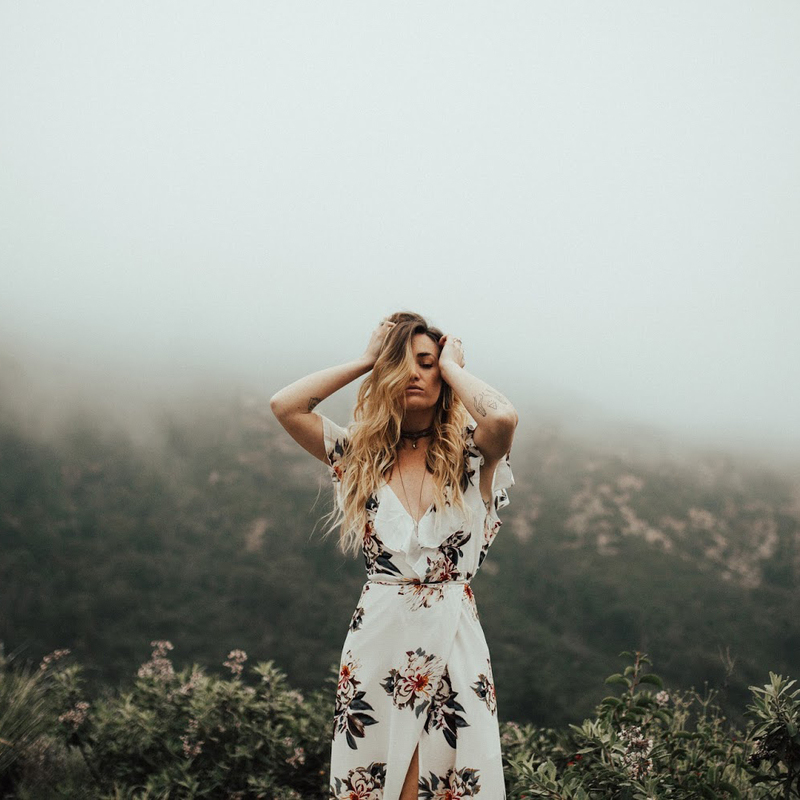 There are all these cute tank top tutorials but I don't know where I can buy tank top to then decorate! Where to you get yours? Thank you! I got this one at Forever 21. 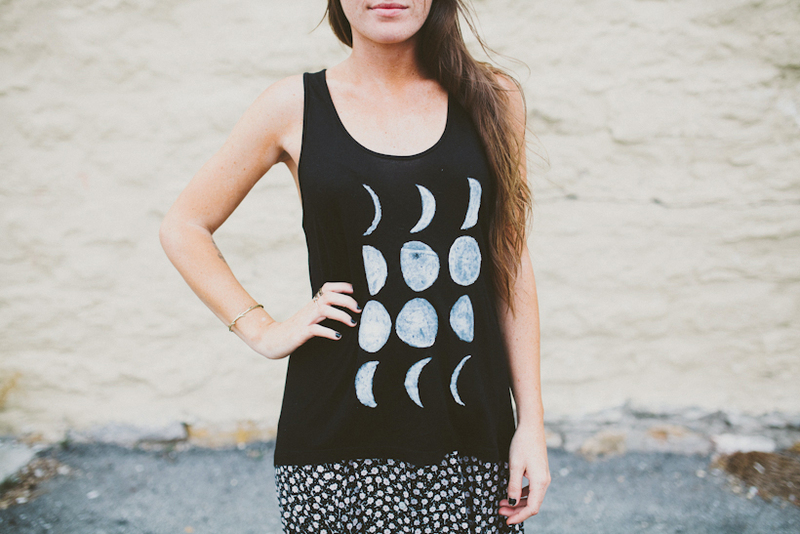 I've been wanting a moon shirt!!!! Love this! What a great idea! It would be fun to paint them in different colors or shades too! I saw a shirt just like this at brandy melville for a horrendous price. So happy you made this! This is so creative. Reminds of the the supermoon we had last week. Great job on your shirt. Love, love. totally pinned this and am totally doing this!!!! where did you get the tank from? awesome diy! i've been seriously wanting a shirt like this! This is a really fun idea! Thank you for sharing! Omg yes! I absolutely must do this! This is such a quick and great idea! I can't wait to try this one! wow! this is so cute! i'll definitely have to try it! cute!!! I will definitely have to try this!!! This looks super easy and a lot of fun! I love moon designs. Will definitely try it! I've been looking for a shirt like this ! But the only ones I found were all cropped so yea. Thanks for the tutorial, I was able to create my own version of this shirt with your guidance! Fabulous! I love this and am doing it for my sister, where did you get that tank-top?